Cancellation can be made free of charge 48 hours prior to date of arrival (before 2p.m.). You will be charged entire stay rate in the case of late cancellation or non arrival. Each group larger than 20 people we will charge 10% discount. 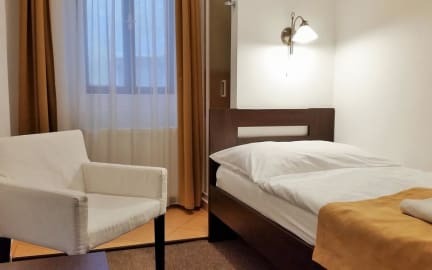 The standard and dormitory rooms feature shared or private bathroom facilities. The property offers breakfast, daily room service, cultural and tourist information, photocopier, luggage storage. The laundry service, airport shuttle and car hire be provided for a surcharge. A shared kitchen equipped with a microwave, a refrigerator, a coffee machine and an electrical kettle is at guests disposal. 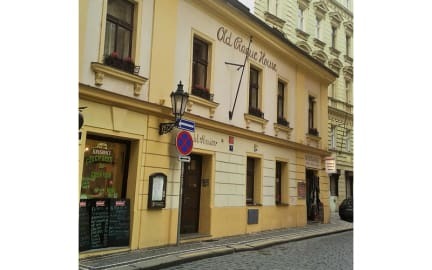 Our location allows you to not think about transport and the tickets - all famous sights of Prague are in walking distance!Czech National Theatre, Charles Bridge, disco Karlovy Lazne nad Lavka club are located 300 metres from Old Prague House, Old Town Square with Astronomical Clock is 8 minutes away, Wencleslas Square is 6 minutes and Prague Castle 30 minutes away on foot.